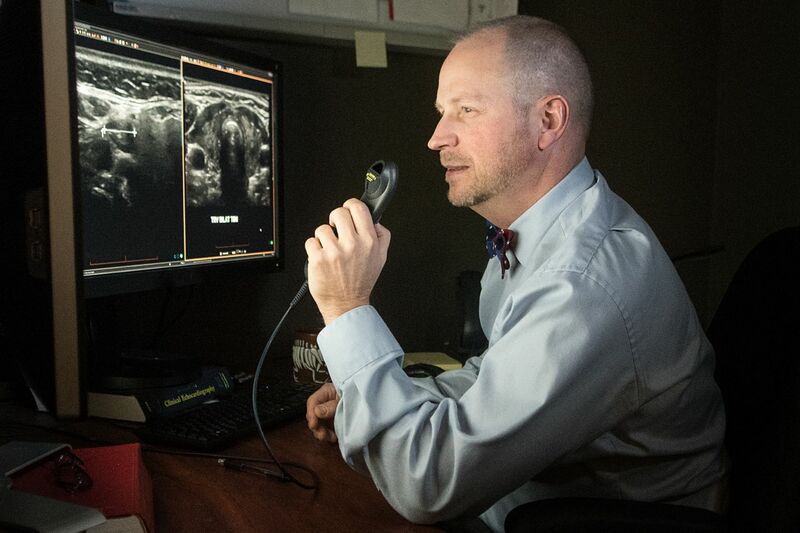 Dr. Grant Tibbetts, medical director of Olympia's TRA Medical Imaging, has pushed for more patient-centered care since joining the team in 2014. Photo courtesy: TRA Medical Imaging. Waiting to get the results of an MRI or ultrasound can be incredibly nerve-racking. Learning about those results, whether good, bad, or somewhere in between, can be emotional. Yet often the doctors who interpret and deliver those results work behind the scenes, never even seeing or meeting with their patients. Dr. Grant Tibbetts wants to change that. 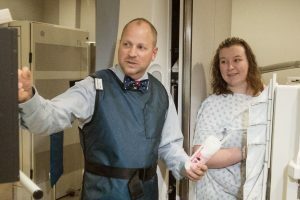 Dr. Grant Tibbetts, medical director of Olympia’s TRA Medical Imaging, has pushed for more patient-centered care since joining the team in 2014. Photo courtesy: TRA Medical Imaging. 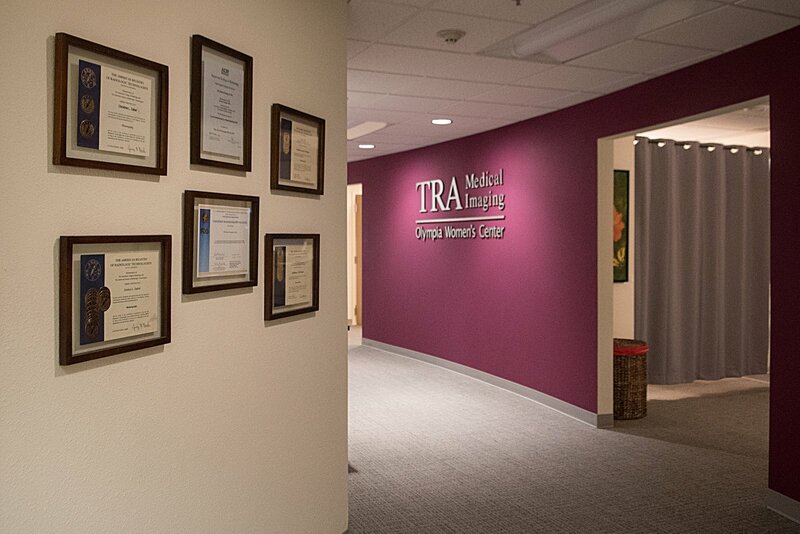 A range of services including 3D mammography, elastography, and a variety of ultrasound options are available at TRA Medical Imaging. Photo courtesy: TRA Medical Imaging. Tibbetts also was the driving force behind the Women’s Imaging Center located within the Lilly Road campus, which offers 3-D mammography. “It’s now the standard for all TRA breast imaging,” says Makowichuk. As an outpatient clinic, TRA provides a patient-centered experience, Makowichuk maintains. 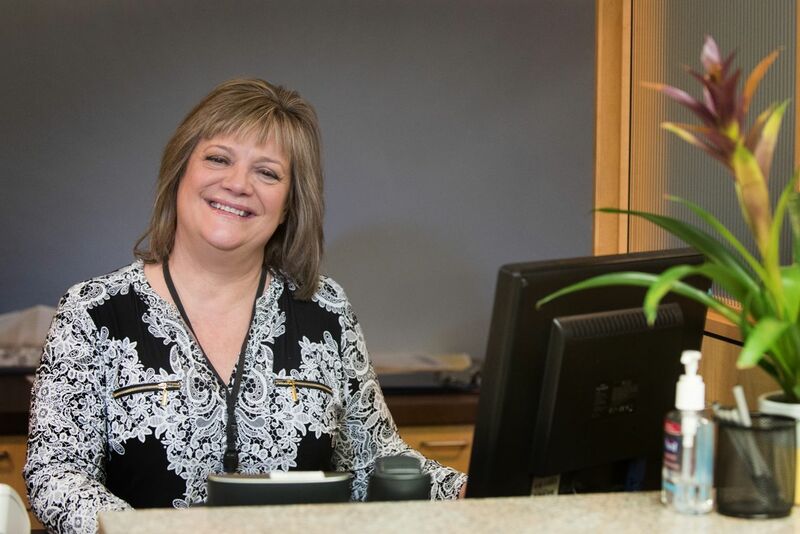 “From the easy scheduling process and friendly staff to the calming environment, it’s really a better patient experience overall,” she says. Friendly staff help make a visit to TRA Medical Imaging less stressful. Photo courtesy: TRA Medical Imaging. Financially, TRA works with patients to make bills manageable, starting with the fact that there’s only one. 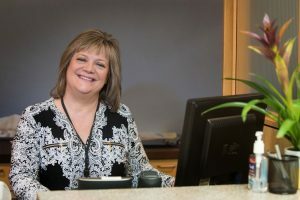 “When a patient comes to a TRA outpatient location they will only receive one bill for their visit. That is inclusive of their exam and the professional interpretation by the radiologist,” says Makowichuk. Many of TRA’s doctors float between their Tacoma, Olympia, Gig Harbor, and Federal Way locations. Tibbetts is one of a few that has made Olympia and the surrounding area his home for both work and his family. “We have 60 radiologists and all of them are sub-specialty trained in very specific areas like pediatric or musculoskeletal imaging,” says Makowichuk. This allows focused high level interpretations are available locally. Dr. Grant Tibbetts is joined by 60 radiologists at TRA Medical Imaging. Photo courtesy: TRA Medical Imaging. For more information about TRA Medical Imaging, visit www.tramedicalimaging.com or call the Olympia location on Lilly Road at 360 413-8383 or toll free at 866-761-4200.